Godrej Properties Ltd. (GPL) (BSE scrip id: GODREJPRP), one of India’s leading real estate developers, today announced that it has entered into a joint venture with Royale Builders and Developers to develop a 13 acres land parcel on Bellary Road (NH-7) in North Bangalore. Godrej Properties plans to develop a modern residential group housing project of approximately 1,25,000 square meters (1.34 million sq. ft.). The Bellary road micro-market has emerged as one of the fastest growing markets of Bangalore with a lot of infrastructure developments and real estate projects coming up in the area. The site is in close proximity to Bangalore International Airport, Aerospace SEZ and IT & Hardware Park, Devanahalli. It offers good connectivity to the key commercial and industrial catchment areas of Devanahalli, Hebbal and Yeshwantpur. This will be GPL’s fifteenth project in Bangalore. Godrej Properties brings the Godrej Group philosophy of innovation, sustainability and excellence to the real estate industry. Each Godrej Properties development combines a 120 year legacy of excellence and trust with a commitment to cutting-edge design and technology. Godrej Properties is currently developing residential, commercial and township projects spread across approximately 13.95 million square meters (142.79 million square feet) in 12 cities. 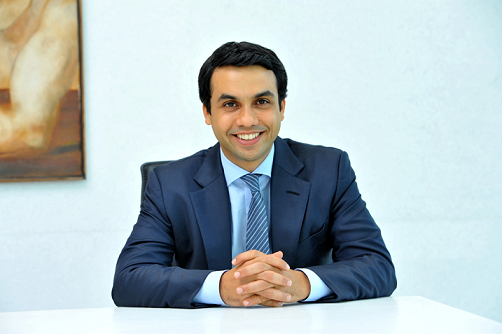 In the last five years, Godrej Properties has received over 200 awards and recognitions, including the "Premium Real Estate Company of the Year" at the Corporate LiveWire Awards 2017, the "Professional Excellence in Real Estate” at the ABP News Real Estate Awards 2016, the "Real Estate Company of the Year" at the Construction Week India Awards 2015, the “Most Reliable Builder" at the CNBC AWAAZ Real Estate Awards 2014, the “Innovation Leader in Real Estate” award at the NDTV Property Awards 2014, and the “Popular Choice - Developer of the Year” award at the ET NOW Awards in 2013.